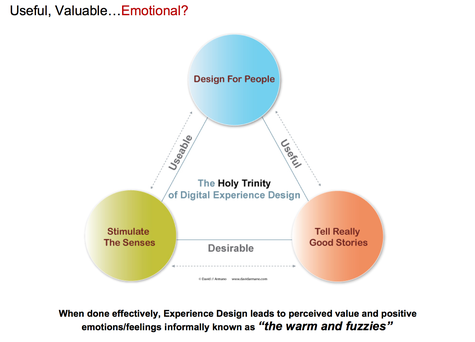 Logic+Emotion: Brand Interactions Are the Future: But Are Interaction Designers Part of Your Agency? Brand Interactions Are the Future: But Are Interaction Designers Part of Your Agency? "Call them information architects, experience designers or Jack or Jane -- they are the design geeks who love to sweat the details. They care about "micro-interactions" and toil away at the building blocks of what actually results in a "lovemark" in the end. We love to use applications that help us do things like plan vacations, find old friends and share our passions with the world. The ad industry has made a big mistake in the past by thinking technology was for geeks. Technology, in fact, is a love affair."